Trying to Figure Out Your Career Purpose? Use Expressive Writing — Seriously. Are you trying to discern a sense of purpose for your career? 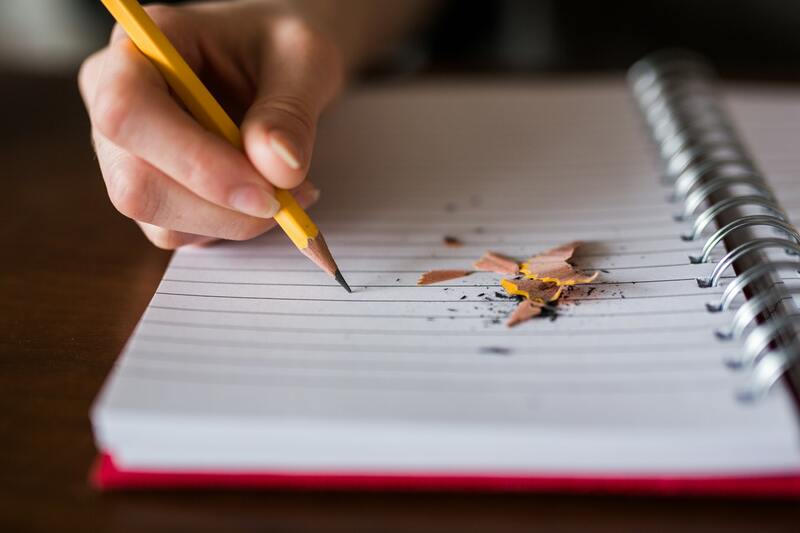 You might be surprised to learn that engaging in expressive writing about your career purpose is a tried-and-true strategy for gaining clarity. Seriously—as Loyola University Chicago researchers Steve Brown and Nancy Ryan Krane discovered years ago[i], if you want to make progress in your career decision-making, spending focused time writing out your thoughts and feelings about your career direction, especially your career goals, makes a big difference. As context, research in psychology has established lots of evidence that supports the power of expressive writing in helping us deal with challenges we face. University of Texas social psychologist James Pennebaker has studied the psychological impact of writing personal narratives for more than 30 years. Pennebaker’s work on writing to cope with traumatic events got Laura King thinking. At the time a professor of psychology at Southern Methodist University, she wondered if the benefits of writing extended beyond dealing with traumatic events. Would writing about one’s priorities and goals in life have similar positive effects that might enhance well-being, and even physical health? Try out this kind of writing yourself. Most people find that there is something about a focused session of putting pen to paper (or typing on a screen) that forces them to articulate their thoughts in a different, perhaps deeper, way than when they speak or think. This paragraph was typical, with the participant aspiring to a middle-class, “normal” existence, but with another person to walk alongside in a strong marriage, each with a job that is something to be proud of, even if it isn’t a job they always love. Across all participants, common themes included a successful career, personal growth, marriage and family, travel, home ownership, and the like. What were the effects this kind of writing? There is nothing especially magical about writing per se, but think about what autobiographical writing requires people to do. It forces us to translate sometimes vague or not-yet-well-formed ideas about our lives into a coherent narrative. That requires us to give it some structure, some organization, and to visualize it more clearly. Doing so can help people identify areas of their experience that need further exploration and discovery, but it can also help them map out a path forward, toward a promising destination. Once that destination is articulated, a person can evaluate it, modify it where necessary, and articulate goals that will assist in pursuing the desired outcome. The process may also be cathartic, allowing people a chance to express some pent-up emotion rooted in their concerns. Whatever the particular mechanisms at work, expressive writing helps. One of the dominant themes embedded in many of the written exercises was the importance of establishing career goals and planning how to implement them. Goals are a powerful influence on behavior; they help us organize our activity and pursue a particular target with purpose. In general, research suggests that both seeking after and achieving goals boosts our happiness. But writing goals down is even more powerful than just thinking about them or talking about them; it creates a kind of psychological contract for people with themselves. That’s especially true when people set their own goals rather than follow goals that others suggest for them. If you are grappling with a discernment process right now, give written goal-setting a try. A good goal is challenging but attainable. It may require a good amount of effort for you to pursue, but if you expend that effort, you can achieve the goal. Climbing Mt. Everest next week is a challenging, but unattainable goal. [v] Deciding on a major or identifying a new career path to pursue within the next three months—these are challenging goals, but you can reach them. A good goal is specific and measurable. “To feel better about where my career is headed, as soon as possible” may speak to a pain point, but it’s neither specific nor easily measurable. “Within the next month, interview three people who work in a career path that is exciting to me” is clear, measurable, and a far more effective goal. A good goal is one to which you are fully committed. You are setting your own goals here; choose ones you are highly motivated to carry out, because you’ll need that kind of commitment when you face the inevitable obstacles. Finally, a good goal is one for which you have support and receive feedback about your goal helps you evaluate your progress and make adjustments where necessary. You can use self-judgement to generate feedback (e.g., “I have interviewed two of the three people I’m committed to interview this month, and it’s gone well; just one more to go”). But involving the help and support of others, both for encouragement and accountability, makes reaching your goals all the more likely. Writing about your career concerns, and writing down your goals, will help you find clarity. It will help you begin to articulate your developing sense of purpose in your career. It may relieve some of your stress, too. Give it a shot. [i] Brown, S. D., & Ryan Krane, N. E. (2000). Four (or five) sessions and a cloud of dust: Old assumptions and new observations about career counseling. In S. D. Brown & R. W. Lent (Eds. ), Handbook of counseling psychology (3rd ed., pp. 195–226). New York: Wiley. [ii] Pennebaker, J. W., & Smyth, J. M. (2016). Opening up by writing it down: How expressive writing improves health and eases emotional pain. Guilford Publications. [iii] King, L. A. (2001). The health benefits of writing about life goals. Personality and Social Psychology Bulletin, 27, 798-807. [iv] Locke, E. A., & Latham, G. P. (1990). A theory of goal setting and task performance. Englewood Cliffs, NJ: Prentice–Hall. [v] I mean, unless you’ve been training and have the trip booked already, obviously. Then it is merely an extremely challenging (but not totally unattainable) goal.